can any 1 help me out in my few questions???? whats the difference b/w galaxy S & galaxy Vibrant?? 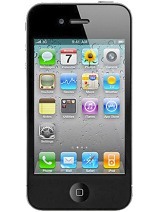 and which one is the better phone???? 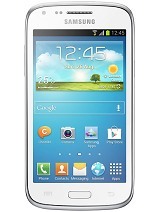 is the galaxy vibrant is better then the galaxy S ???? Jus, 12 Aug 2011When using this phone in Australia i can only use the Edge network which is 2G, to get 3G the ... moreto get the 3g network, the phone's 3g frequency has to match with the network's 3g frequency. example here in the U.S., t-mobile's 3g frequency is 1700mhz and this phone's 3g frequency supports 1799mhz, therefore, it's compatible. When using this phone in Australia i can only use the Edge network which is 2G, to get 3G the phone needs to run 850hrz, does anyone know if i can change this? John Wilcox, 03 Aug 2011If you upgrade this phone to froyo will it have the flash player in it. bcz i read when it is ... morehow can you update the OS? can i update the OS to Gingerbread? This phone is terrible! Why don't I start with what's not wrong with it... The camera, but no flash. The camera is great but if you open any apps it force closes and freezes. Battery life is bad along with call quality. DO NOT GET THIS PHONE! Stan P, 05 Jul 2011Hey guys...I carried out two unsuccessful attempts to upgrade my firmware to 2.2...after that ... moreYou will probably have to put the phone into download mode and reinstall the OS. Rakesh, 22 Jul 2011I am still not able to use the front camera during video call.Can anyone help me for this. ... moreThis phone does not have a front camera. how can i see youtube by samsung vibrant t959 .pls help me. I am still not able to use the front camera during video call.Can anyone help me for this. Battery backup is very bad.Sometimes it gets hang. t959, 27 Jun 2011It work with 16sdhc and you can update to 2.2 froyo via samsung kies mini.it work perfect with 2.2Thx, I'm already running 2.2. Just wanted to be sure before buying a 16gig micro sdhc instead of 16gig micro sd card. How much should this phone cost?